Standard - $53.99 Only 4 left! Surviving a zombie outbreak may seem daunting, but it's actually pretty easy if you follow a few simple rules. Rule #1: Never travel at night unless you have to. Rule #2: Always use the buddy system. Rule #3: Pick a buddy that you're pretty sure you could outrun. If you can do that, you might stand a chance. You'll probably also want to wear some kind of protective gear, in case the outbreak is spread by an airborne virus. Even though it probably won't do much good against shambling cannibals with ravenous hunger in their undead eyes, better safe than sorry. 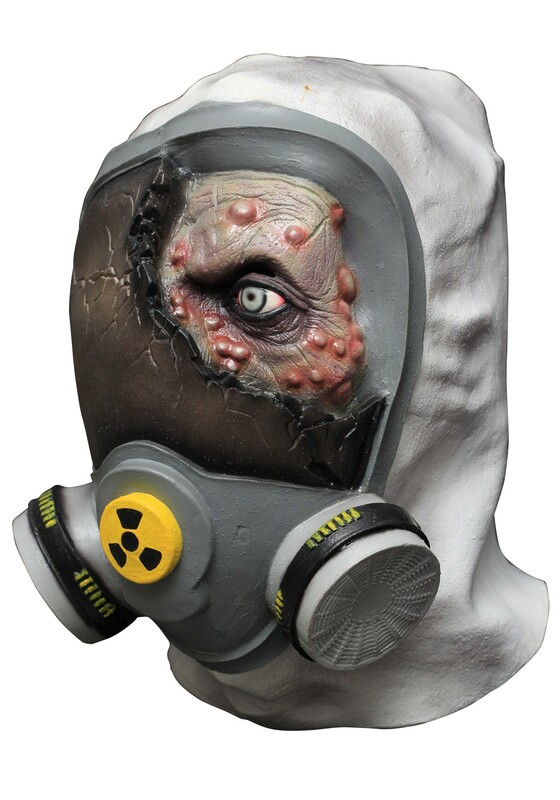 You can also creep everyone out at your next zombie crawl or Halloween party by showing up in this frightful Toxic Zombie Mask. It's especially scary not just because this grossly realistic latex mask makes you look like an infected reanimated corpse, but it also make you look like not even your protective gear couldn't save you in the end! Wear this along with a bloody, torn up hazard body suit, to make it look like those zombies really got you good!